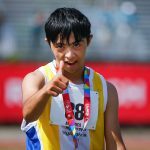 More than 4,000 athletes and coaches from all 50 states will visit Seattle and the surrounding region to participate in the Special Olympics USA Games kicking off July 1. The UW will be the primary venue, and athletes will stay in Seattle campus residence halls, including Willow Hall, a new residence building on north campus that offers state-of-the-art technology. The UW’s high-bandwidth wired and Wi-Fi connectivity will help the event run smoothly and support the thousands of expected connected devices that athletes, parents, coaches, staff and spectators will bring. Learn more about the USA Games.